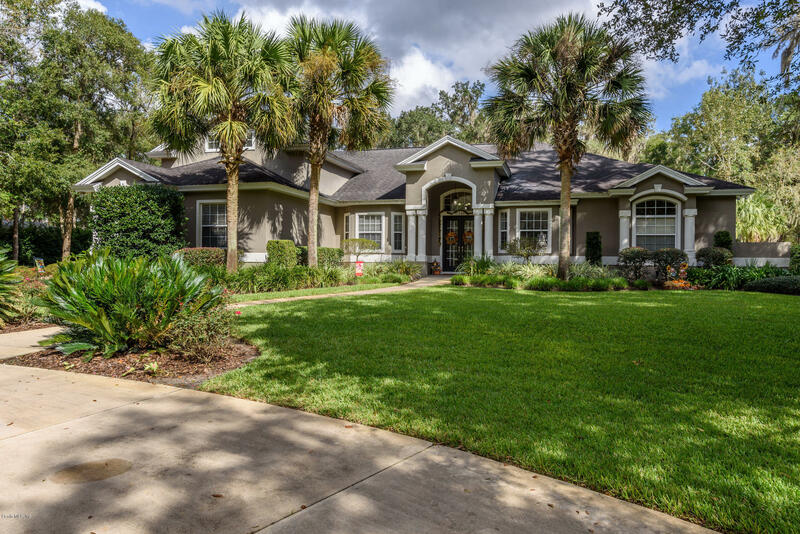 Pride of ownership shines in this 4/3 w/study w/3 car garage, overlooking the 4th hole at Country Club of Ocala. Foyer leads to formal living & dining, which flows into spacious eat-in kitchen w/custom wood cabinets, surrounded by granite, along w/center island, stainless appliances & breakfast bar. Family room has built in cabinets & a bank of windows, looking out to pool area & lushly landscaped yard. Spacious master suite has sitting area, walk-in closet & master bath w/double vanities & newly remodeled & retiled shower. Home has many extras including split bedroom plan, tile & wood flooring throughout, new a/c unit for downstairs in 2014 & upstairs in 2017, chlorinated pool w/solar heater. An 'up to' whole house generator was recently installed. Home recently repainted.